Youth Fellowship is held each Sunday evening from 5:30 – 7:00 pm. We begin with a snack supper, followed by games, fellowship activities and programs designed to promote both active learning and reflection. We also participate in the life of the church by helping at special events, hosting fundraisers, and sometimes attending worship together. 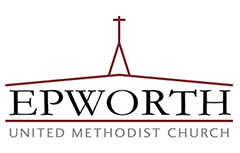 Youth at Epworth are involved in music ministries and assist with worship services. The youth group also plans lots of social activities together like parties, lock-ins, photo scavenger hunts, and much more. But some of the favorite activities are retreats! Several times a year we head out of town to enjoy recreation, study, reflection, and fellowship (and we eat enough junk food to power a small army). Ask an Epworth youth to tell you their favorite thing about Youth Fellowship! We are a welcoming group and would love for you to visit us at one of our many youth events. For more information please contact our Youth Ministries Coordinator, Carie Dupree, by emailing her at cdupree@epworth-umc.org. We are looking forward to seeing you soon! Youth grades 6th – 12th also gather for Sunday School every Sunday morning from 9:50 – 10:45 am, downstairs in room 12.